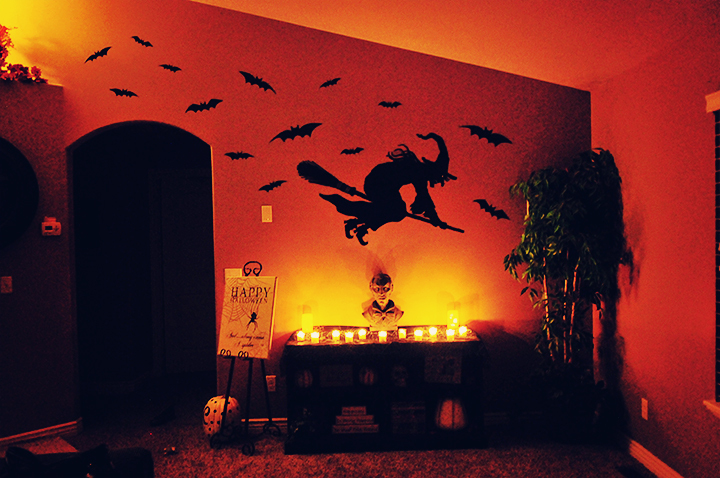 The Halloween Decor has risen! We got a few new things this year, including these awesome wall vinyls! It seriously adds so much to the room. Here are a few of my favorite pieces!